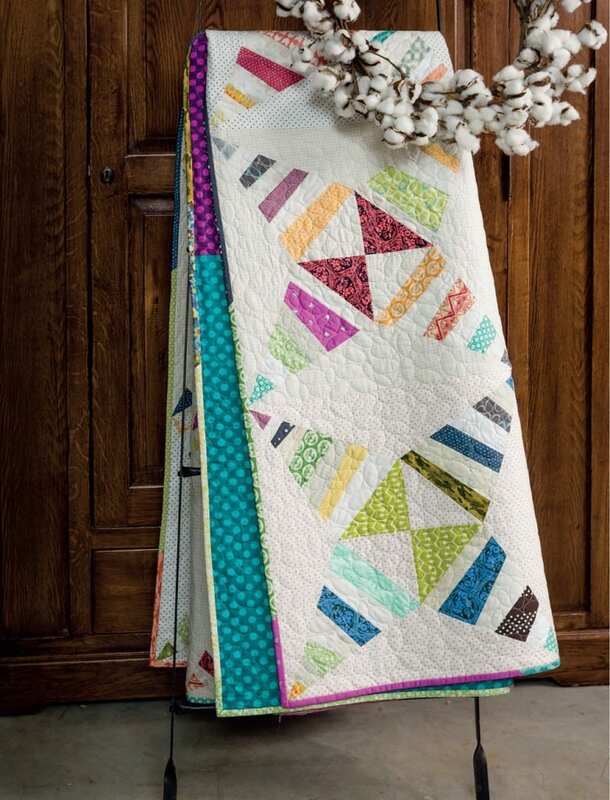 Serendipity from my new book Modern Heritage Quilts, happens to be the quilt on the cover of the book, and among my favorite in the book. Serendipity was beautifully pieced by my friend Megan Pitz – a BIG thank you to her for helping me to meet my deadlines! Serendipity is made of Rocky Road to Kansas blocks, which have come to represent the mass exodus of freed slaves from across the South to Kansas in 1879. Kansas had been touted as the place of opportunity, so many made their way to the heartland. Of course, the path was full of challenges and not always straight, much like this pattern. 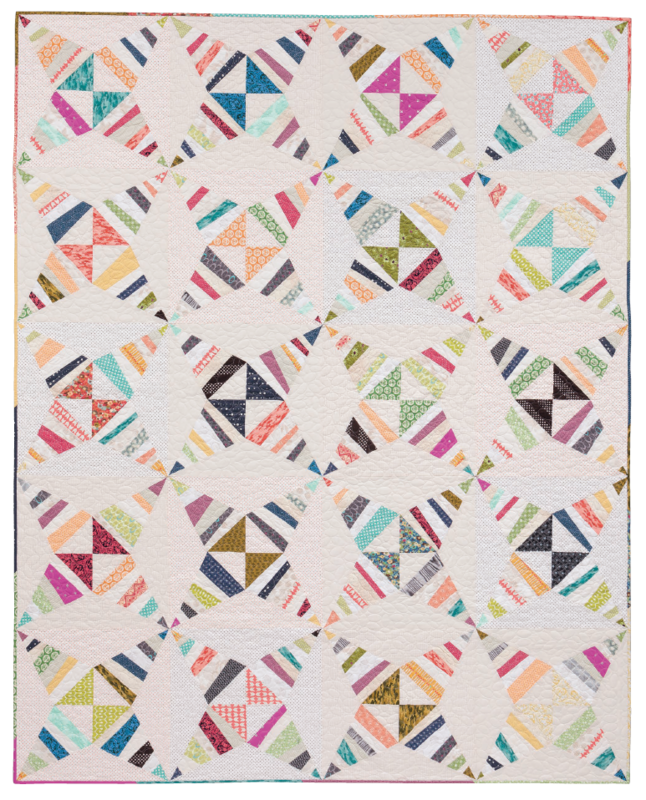 This quilt design is a window into the past and an excellent reminder to be thankful of the opportunities and blessings in our lives today. As with all the quilts in Modern Heritage Quilts, when selecting fabrics for Serendipity I was looking for a mix of prints. The overall scrappy feel of the quilt was achieving by pulling a lot of fabrics. I had everything from fat quarters to scraps that I collected and curated for this quilt, even a few that didn’t quite feel right but I thought would add interest. The scraps that came back with the pieced quilt from Megan I pieced into the binding, after quilting it with an overall oval pattern. I would suggest a quilter be experienced with y-seam confidence and some paper piecing or improv piecing experience, to take on Serendipity. The large block size make the y-seams less fussy, but they do need a little extra patience.